Washington, Jan 26 (IANS) US President Donald Trump’s move to amend the existing immigration policies has resulted in widespread protests with Indian-American lawmakers slamming Trump for signing changes that are deemed “anti-immigrant”. In the first week after his swearing-in ceremony, Trump has signalled he is fulfilling some of the controversial campaign promises, which include immigration reform and building a wall on US-Mexico border, American Bazaar online reported on Thursday. Harris said that Trump’s executive decision on immigration has left the country in fear as it has become “less safe”. 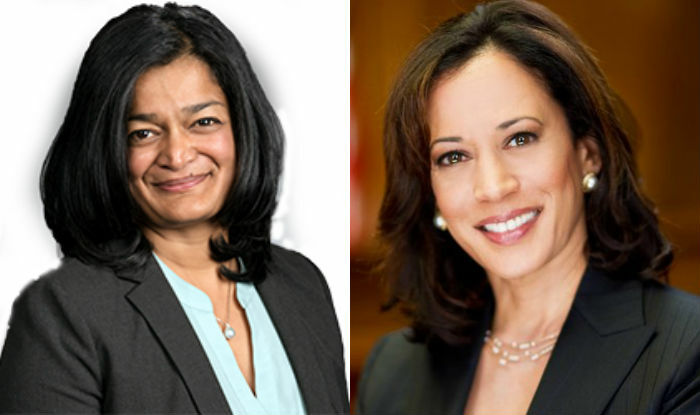 “He has doubled down on his agenda that pits mother against mother, neighbour against neighbour, tearing up the fabric of our communities,” Jayapal said. “We must take on enacting comprehensive and humane reform of our broken immigration system — to support our economy, our communities and our families but the President offers zero leadership in this area,” Jayapal said. “Instead of building walls, we should address the underlying systemic issues that drive immigration and fix our own outdated immigration system. Instead of banning refugees and people based on their religion, we should welcome them with open arms,” she said. Jayapal also added that being considered as the world superpower, the US has the responsibility to provide a sanctuary to all who need it most.